Following the advice of the Americans, Lebanon had declared war on Germany in early 1945, which allowed it to become one of the founding members of the United Nations (26 June 1945) and to appeal to this organization when it felt beleaguered by another nation. Before, in March 1945, it had already been one of the founding nations of the League of Arab States. However, it was not before the end of 1946 that the French troops left Lebanon, and in the interim period, tensions rose between the young independent state and its former ‘protector’. 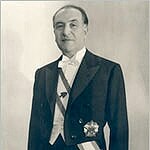 The first President, Bechara al-Khoury, remained in power until 1952, when he abdicated after a general strike paralyzed the country. The elections which had been held a year earlier, favourable to al-Khoury, were allegedly fraudulent. Shortly after the elections, Prime Minister Riad al-Solh was murdered on a visit to Amman in Jordan. But these were not the only problems. 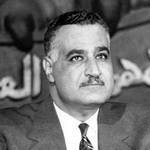 Military coups shook neighbouring Syria and Egypt, where Gamal Abdel Nasser was brought to power. Furthermore, the founding of Israel in 1948 and the Arab-Israeli War that followed, not only brought well over a 100,000 Palestinian refugees to Lebanon (and many more to Jordan and Syria) but, even more importantly, it changed the entire political and demographic map of the region. In 1952, Camille Chamoun succeeded al-Khoury. 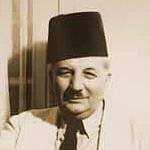 During his years in power (1952-1958), this anglophile lawyer opposed Nasser by remaining loyal to the Western powers, despite the Suez expedition. 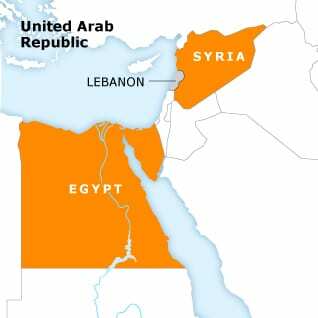 But Nasser – who in February 1958 created the United Arab Republic (UAR) by uniting Egypt and Syria – had an increasing influence on the Lebanese. It was the idea of pan-Arabism, promoted by Nasser, that appealed to many, in Lebanon and elsewhere in the Arab world. 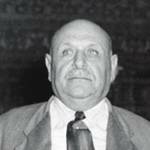 In May 1958, a pro-Nasserist Lebanese journalist, Nasib al-Matni, was murdered. His death prompted an insurrection. Although al-Matni was a Maronite, most insurgents were Muslims. The Lebanese army, commanded by general Fouad Chehab, remained neutral in the conflict, for fear of spreading the fire. Lebanon filed a complaint against the UAR with the League of Arab Nations as well as with the UN Security Council, accusing its neighbour of supporting the insurrection. The League of Arab Nations tried to mediate in this conflict, but failed. The Security Council (Resolution 129) concluded there was no evidence for Beirut’s accusation. On the 14th of July of that year, Iraqi officers staged a military coup in their country. King Faysal II was murdered, as was his Prime Minister, Nuri al-Said. Nasser, on a visit in Eastern Europe, declared that ‘any attack on Iraq was tantamount to an attack on the UAR’. The next day, American marines landed in Lebanon, to protect the government and counter Nasser’s rising influence in the region. In this rather chaotic situation, general Fouad Chehab, commander of the Lebanese armed forces, was elected president. Chehab managed to restore the calm without the use of violence. In 1963, a military coup in Syria put an end to the UAR. Shortly afterwards, a few pro-Syrian Lebanese officers staged a coup in Lebanon, but failed. Chehab tried to unite the country, or at least ease the tensions between the communities. A Christian himself, he enjoyed a good relationship with the Muslims (but not necessarily with the most outspoken right wing Maronites). Shihab’s term in office, lasting until 1964, witnessed unprecedented social and economic reforms. 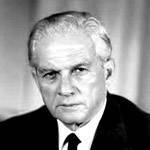 Among other institutions, he created the Central Bank (Banque du Liban) and tried to reduce the extreme imbalances in income, both by developing rural areas and creating institutions for social security. However, he did not change the system of laws that consecrated the religious communities as the pillars of society. Neither did he amend the electoral laws or introduce a secular law pertaining to personal matters, such as marriage, divorce, or inheritance. These matters remained firmly in the hands of the religious authorities. Chehab insisted on acting strictly in accordance with the Constitution, which prohibits the President of serving two successive terms in office. He therefore did not try to serve a second term, although a majority of Members of Parliament would probably have supported him. In 1964, he was succeeded by Charles Helou. However, Chehab’s doctrine lived on as ‘chehabism’ – aimed at strengthening Lebanon’s national unity and its state institutions, which were weakened time and time again, not in the least because of international and regional tensions. After Chehab’s term, the stability of the state he had begun to build, slowly started to crumble. Economically, the country prospered, largely because of the oil boom and Lebanon’s role as regional banking centre. But conflicts in the region, on which Lebanon hardly had any influence, inevitably increased the tensions among Lebanon’s (religious) communities. The June War also brought thousands more Palestinian refugees to Lebanon (and many more to Jordan and Syria as well). In Lebanon, many refugees settled in the south, near the Israeli border. As a consequence, the Israeli army made frequent incursions into the Lebanese territory, attacking the Palestinian camps from where the fedayeen (guerrilla fighters) launched their operations into Israel. The Lebanese armed forces proved unable to control the camps. Nasser proposed to mediate between the Lebanese authorities and the Palestinians. This led to the 1969 Cairo Agreement.